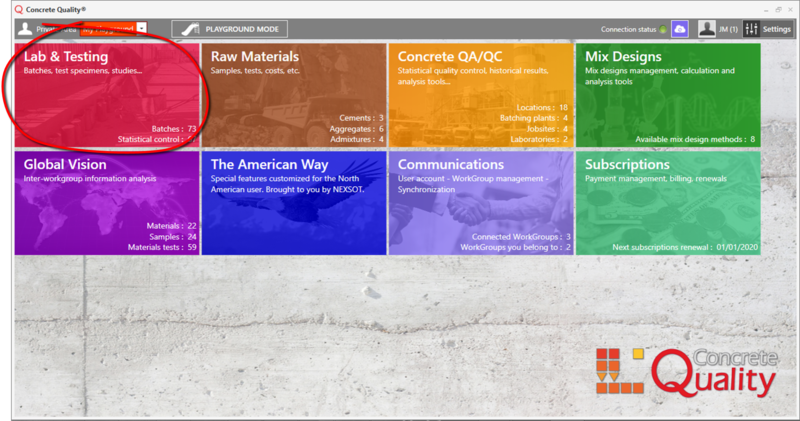 Inside the Lab & Testing section you will find convenient tools to manage your concrete tests, R&D studies and test specimens crushing schedule. Batches management: in this section you can create, modify and manage your concrete batches with a maximum level of detail. 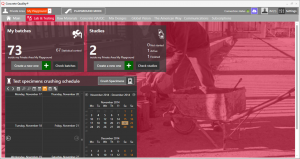 You can manage information about the production, ticket, casting, curing, sampling and testing. Here you can add test specimens, strengths results, get a summary with the most relevant properties and print reports. 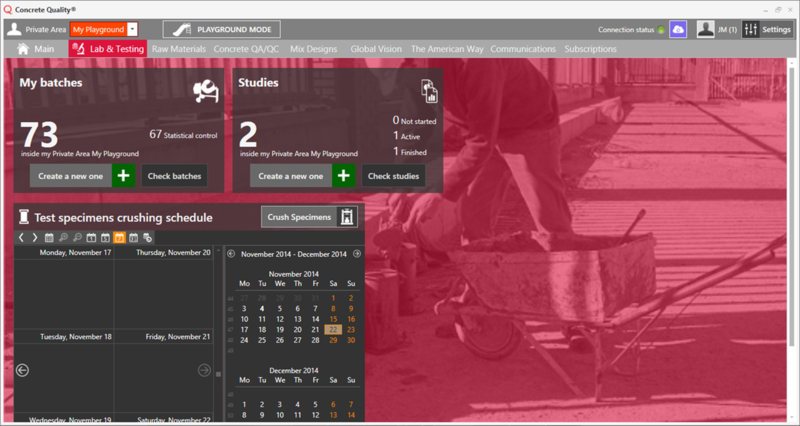 R&D Studies management: in this section you can create and manage R&D studies. Studies have goals, instructions and conclusions, and group several batches to compare them. You can also print attractive reports to communicate your results. Test specimens crushing schedule: A very convenient tool for laboratory management. Know exactly when you need to crush your test specimens with an intuitive an straightforward tool. Create a daily work order for the lab technicians with all the information they need to avoid human errors in the testing process. You can access this section from the Main Menu or through the top navigation bar. The Lab & Testing Dashboard shows an overview of the information contained in this section with its gadgets. From this Dashboard you can access all the screens inside the section. 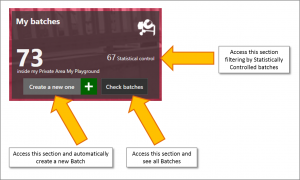 Within the Batches gadget you will find information about how many Batches you have in the currently selected Workgroup. You can also see how many of these are selected for Statistical Production Control. 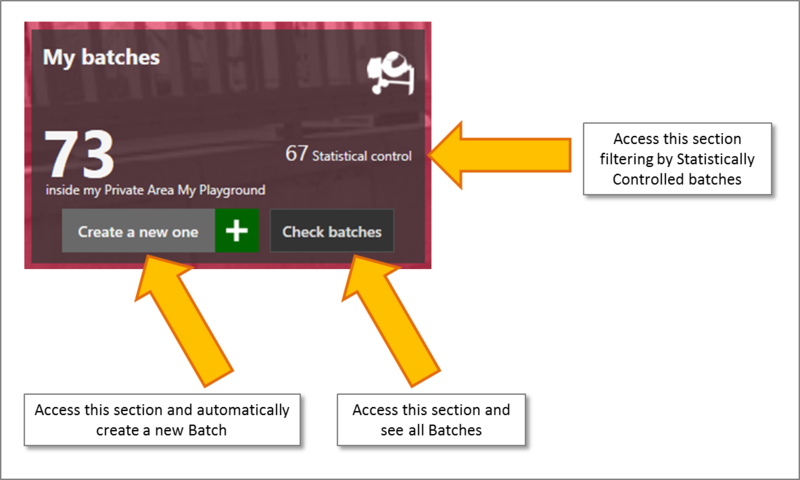 You can click on the hyperlink to access this section with a filter applied that will only show the controlled batches. You can also create a new Batch on the fly and edit it immediately.